Kurds living in Mardin tend to not use social media for political expression when it involves a direct critique of the Turkish State, Turkish authorities or the Turkish nation. Social media has been described by many Kurds as a powerful tool for political control, as a new form of torture, as a weapon to scare people and prevent them from being politically active. In Turkey’s Kurdistan, the internet and digital technologies are immediately associated with control and persecution by the State. In the last couple of years, the Turkish government has banned and shut down several pages of political parties (see also this international campaign against the Facebook Company). Internet censorship in Turkey has become internationally known, when the ex-Prime Minister Erdogan banned YouTube and Twitter before and after the local election in March 2014. The tight control over the internet has produced an efficient self-censorship mechanism in Mardin and elsewhere in the region; people tend to not criticize the Turkish government too openly in order to not be prosecuted. However, many Kurds have been using social media to express their support for the Kurdish cause by claiming solidarity with the Kurds living in other countries in the Middle-East. 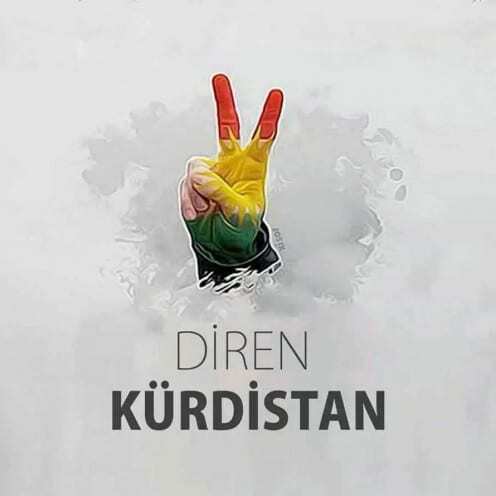 In the last two years, many people have been using an image with the word ‘Rojava’, the Kurdish name for the Siryan Kurdistan, the region inside Syria that started to achieve its autonomy in 2012, as their Facebook profile picture. Within the same period, the region has been under attack several times by Islamic groups, and more recently by ISIS. When ISIS attacked Kobane and PKK/ YPG fighters retaliated by showing resistance, news from independent news sources were circulated on social media, presenting different views on what was occurring. Before then, in the summer of 2014 during ISIS’ invasion of Sinjar in Iraq, many Kurds, together with unions, political parties and local charities, actively used Facebook to organize solidarity campaigns to collect clothes and money for the Yezidi refugees after the attack. Over the past few months, social media has become a very important source of news for the Kurds living in Turkey. They want to know about ISIS’ attack on Kurds in Syria and Iraq; and Facebook in particular has become the main platform to organize solidarity campaign and to express support towards the Kurds in these two countries. I don’t want to describe here the complexity of the crisis that is going on now in the Middle-East, but rather, I want to highlight the way Kurds in Turkey use social media. They continuously mediate between what they would like to share freely online, and what they know could be detrimental to them because of the draconian censorship enacted in Turkey. Far from being the results of rational calculation every time, people have internalised a set of rules which influences what they can share publicly, what they can share on fake profiles and what they can read but not share at all. It’s only by adopting these implicit set of rules that a Kurdish “public sphere under restriction” is continuously created and recreated by social media users, with several consequences. One of these is that on social media the Kurds in Turkey tend to sustain the Kurdish nationalistic cause by expressing support towards the Kurds living in Syria (and Iraq), and they more rarely address the political situation inside Turkey.